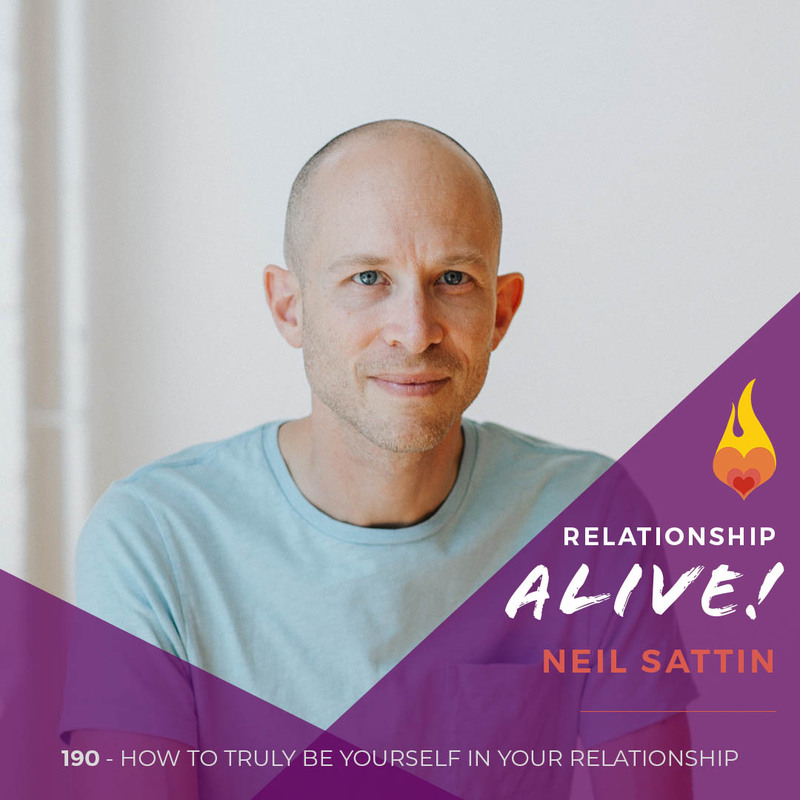 Neil Sattin: Hello and welcome to another episode of Relationship Alive. This is your host, Neil Sattin. It’s come up again and again in conversations that are happening in our Facebook group and elsewhere, what do you do if you or your relationship is impacted by depression? In other words, if you’re feeling depressed, what can you do to help and get better, and maybe how can you mitigate the effects that your depression is having on your relationship with your spouse or significant other, with your kids, with the other people in your life? Because depression is relational, it affects us, but it also affects how we interact in the world. And then there’s also the question of what if your partner is suffering from depression, what can you do then and how can you stand the best chance of helping your partner recover from depression? Neil Sattin: So, these are important questions because depression is affecting more and more people. And I just want to say too, I have a personal story that I’ll talk about in a little bit about my own experience with depression in my life, in my family. So, this is personal and I’m prepared for a powerful conversation with today’s guest. His name is Dr. Michael Yapko and he is one of the world’s foremost experts on depression and its treatment, both for lay people and for therapists who are learning how to help their clients more effectively deal with depression. Among many books… I think he’s written more than 10, are the books Depression Is Contagious, How The Most Common Mood Disorder Is Spreading Around The World And How To Stop It. And also, the popular book, Breaking The Patterns Of Depression, which as he just told me, is entering its 19th printing. So very popular work and very helpful in terms of ending or mitigating the effects of depression on your life. 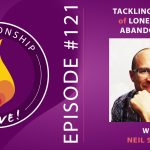 We will, as usual, have a transcript of this episode, you can grab it if you visit neilsattin.com/depression or you can text the word Passion to the number 33444 and follow the instructions to download the transcript for this episode. I think that’s all I have to cover for now. 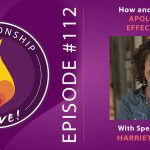 So Michael Yapko, thank you so much for being with us here today on Relationship Alive. Neil Sattin: So, let’s start by creating some context because I think a lot of us feel like we know what depression is and yet there are a lot of common misconceptions about what actually constitutes depression and what the causes of depression are. So, could you start us out with a little bit of background on just answering that broad question, What is depression and what do we know about what causes it, and what doesn’t cause it? Michael Yapko: Two very huge questions that I will try and break down in a reasonable way. What is depression? Depression is technically defined by the mental health profession as a mood disorder, but it is in fact much more than that. Depression’s tentacles reach into every part of a person’s life, from their ability to work, their ability to relate to other people, their ability to function and the depressions that people experience can range from mild to severe, they can range from short term to long term, they can be integrated into a person’s life as an ongoing way of just existing. There are so many different facets to depression, that it’s really difficult to just think of it in a simple, one-dimensional term. And that’s one of the things to appreciate right off the bat is that each person’s depression is different. How one person experiences, it can be very different than the way another person experiences it. And so that requires, of course, different considerations in the way that we deal with it, respond to it, manage it. And then as far as what causes depression, the best answer that I can give you is many things and if I were to list all of the things we would have dozens and dozens of risk factors that all contribute to and exacerbate depression. Michael Yapko: When I first started studying depression now almost half a century ago, there were really only two risk factors that were known, gender and family history. And now all these years later we know there are many, many risk factors, but we can group these risk factors into three primary domains. Some of the risk factors are biological, that would include things like neuro-chemistry, disease processes, side effects of medications and so forth. The social factors, the kinds of relationships that people have, the culture they grow up in, the family they grow up in and the kinds of interactions that predisposed people. And then there are the psychological factors, person’s individual history, the kinds of traumas that they may have been exposed to, the kinds of stressors that they have faced, coping skills that they have or have not developed, problem-solving skills that they have or have not developed. So, we look at depression in a very multi-dimensional way, the bio-psycho-social model addressing those biological, psychological and social factors that operate in different degrees, in different individuals. Neil Sattin: It is a multi-faceted subject, and I appreciate that when you talk about it, that you’re willing to pull all of these different facets in because often the treatment of depression is so one-dimensional and that’s something that you talk about right at the beginning of Depression Is Contagious, which is this sense of how, in some ways, the medical model and how it’s treated depression through the use of antidepressants has actually hindered people in a lot of ways from really truly being able to surpass the ways that depression is impacting them. Michael Yapko: Yes, I think that that is one of the great disservices of the mental health profession that I’m hoping we can gradually correct. I wish we could instantly correct it, but the first new generation antidepressants came out in the late 80s. I sometimes measure time as BP and AP, before Prozac and after Prozac because with the release of Prozac everything changed. The idea was promoted really as a marketing tool that antidepressants would correct presumed biochemical, neurochemical imbalances. It’s a curious thing to me that you can stop almost anybody on the street and if you ask them the questions, “So, what do you think causes depression?” How quick they are to say a shortage of serotonin or some other neurochemical anomaly. And, of course, that has never been proven and, in fact, over the recent years, it has in fact been disproven. The serotonin hypothesis is really all but dead, but the simplistic nature, the one-dimensional nature as you described it, is exactly right. The idea that somehow if you just find the right pill, everything’s going to be okay. And especially given what I said earlier about the fact that we know that there are dozens and dozens of factors that contribute to depression, to think of it as only a neurochemical anomaly is really underestimating the complexity of it, which guarantees, therefore, undertreatment. Michael Yapko: And so, it’s not even that I’m against antidepressants as much as I’m extremely aware of how very limited they are in their capabilities. And when you look at all of the things that antidepressant medications cannot do, not just will not do, but cannot do. They cannot teach you better social skills and social problem-solving skills. They cannot build a support network for you. They cannot teach you coping skills or problem-solving skills. And the reality is that life is challenging. As the great American humorist, Mark Twain said, “Life is one damn thing after another,” and he’s right about that and there’s plenty of evidence to show that the people who are better problem solvers do better than the people who don’t really have much in the way of problem-solving skills. Michael Yapko: So, part of what I’m expecting our conversation to be about is what are some of those problem-solving skills, how do we look at life in a way that decreases the vulnerability. And the reality is no one is immune. If you’re capable of moods, you’re capable of mood issues. And so, it really is about learning to manage and learning to stay a step ahead of what your own risk factors are. And when I use the term risk factor, I’m talking about anything that increases your vulnerability to a particular disease or condition. And so, when we start getting into what are some of these risk factors, particularly in relationships and families and cultures, there’s a lot to say about that. Neil Sattin: Yeah, I definitely want to talk about the risk factors and, most assuredly, want to cover the skills. There were a couple of things though that really surprised me and I think it would be helpful to hear from you about them. One was, you mentioned that in your book that a lot of the studies that seemed to show that the effectiveness of antidepressants were actually selectively published and leaving out the studies that were showing them to be ineffective and couple that with other forms of treatment that have shown to be either as, if not more effective, and especially when you factor in whether or not someone is likely to relapse then they’re way more effective than antidepressants. Michael Yapko: Yeah, this is one of the great disappointments to me, that the pharmaceutical industry had very deliberately created this mythology about the shortage of serotonin as a vehicle for selling drugs and it worked. It sounded very scientific, it sounded very clear that depression is a disease, you take a drug to cure the disease and there you go. And even in the most prestigious medical journals, the Journal of the American Medical Association, which is arguably the world’s premier medical journal, devoted an entire issue, not that many years ago to how it had been fooled itself into publishing data that were selectively provided by drug companies, how they hired what are called ghostwriters, people that have great reputations that they paid a great deal of money to sign their name to studies that were, in fact, written by the drug companies. And in one of the editorials by the editor-in-chief of the Journal of the American Medical Association, who did a mea culpa expressing a lot of regret about having published erroneous data, misleading data, unwittingly, unintentionally, of course, and other journals followed suit. The Canadian Medical Association Journal, others as well, New England Journal of Medicine. Very prestigious journals that acknowledge this is a huge problem and have had to change the way that they gather data and use data in the studies that they publish. Michael Yapko: So, when it filters down to individual doctors who are prescribers and then certainly to the consumer, the person who’s taking the medication, who relies on the physician to provide an accuracy in the science and in the prescriptions, and the physicians themselves are relying on the studies that appear in the medical journals, you can see how the dominoes fall in the direction of people being misled and then forming these belief systems that make it very difficult to change people’s minds. So, even right now we have to deal with the fact that the great majority of people who are receiving treatment for depression are receiving antidepressants. And even though the professional associations advocate for at least what’s called a combination approach of medication plus cycle of therapy, less than half of people are being given that option, they’re just being given the medication as a sole form of treatment, and it certainly isn’t doing the patient a favor since that particular sole form of treatment, medications alone, also has the highest rate of relapse of any form of treatment. Michael Yapko: So it’s really an important thing for people to appreciate. There isn’t a miracle drug, there isn’t likely to be a miracle drug. I don’t think I’m extreme in saying that when we know that so much of depression is about relationships, the social life of the person. We’re probably not going to find a drug that cures depression any more than we’re likely to find a drug that cures other social problems like racism or poverty. It’s the wrong lens for looking at the problem. And, little by little, that viewpoint is becoming, what started out as an arguable point, is really becoming mainstream, especially as the sophistication of epigenetic research continues to advance. Michael Yapko: Epigenetics is the field of how environmental conditions influence gene expression and it’s the field of epigenetics that is highlighting how much of social atmosphere influences individual mood. So it’s a really exciting time, but it really challenges many of our pre-existing beliefs about what we think depression is. So, I’m just hoping that for anybody who’s listening, they come to appreciate. You can’t underestimate how many facets and how many challenges there are associated with depression, and you certainly shouldn’t buy into an under-treatment model of just taking a drug and hoping it goes away. Michael Yapko: Well, things depend on individual circumstances, of course. The kinds of factors that somebody would take into account are how long this person’s been depressed, how deeply depressed they’ve been, what their own belief system is about the merits of these drugs. The reality is that when you prescribe medication to someone there’s only a 50-50 chance that the first drug you prescribe is going to have any meaningful impact. And, unfortunately, you’re going to have to wait a long time for it to develop any kind of therapeutic response. So, to have to wait for the drug to take effect before you can do something with someone, I think is one of those unfortunate beliefs that really isn’t grounded in science. There isn’t any reason why somebody has to wait. If they’re going to take medication, okay, go ahead and take medication if that’s your preference and if you think that it’s going to make a difference, go ahead. Just believing that it will make a difference will, for some people, actually make a difference. Michael Yapko: This is one of the curious things about depression, it has a very high response rate to placebo-based interventions. And so, you can provide really many different types of interventions that people will respond favorably to, but for every day and for every week that you sit around waiting for the drug to work, you’re really disempowering yourself, you’re really saying it’s the drug that’s going to work not me. It’s not going to be my abilities, the things that I learned, the things that I changed in my life, the ideas that I change about myself or the world or the nature of depression itself, to put yourself in that passive role is part of the problem. One of the things that I think everybody in this field would agree on, there’s not many things that everybody would agree on, but I think this is one of those things that everybody would agree on, that depression is built on a foundation of passivity. If depression was a commercial product, its advertising slogan would be: Why bother? Why bother to try? Why bother to read the book that my therapist recommended? Why bother to do the exercises that my therapist gave me to do? Why bother to go see a therapist in the first place? Why bother? Michael Yapko: And so, the last thing that any therapist wants to do, whatever their orientation happens to be, whatever their personal, professional philosophy happens to be, how important it is for people who want to get past depression to be actively engaged in the process and the idea of telling somebody, “Wait for the drug to work and you don’t have to learn anything new and you don’t have to do anything new in the meanwhile,” to me is just the proverbial fingernails on the chalkboard. I think it’s just terrible advice, and I would never encourage anyone to give that kind of advice much less follow that kind of advice. 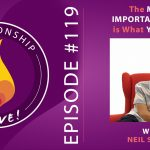 Neil Sattin: I mentioned in the intro that this topic is one that’s very personal to me, and I’m hoping I can just take a moment to fill you in on what that even means. And just so everyone knows, I’ve gotten permission from my mother to talk about her struggle. So when I was about 12 or 13 years old, I was actually away for a trip and while I was away, I got a phone call from my father telling me that my mother was in the hospital, and she was in the hospital because she was suicidal. And this was the first moment that I even had any inkling that depression was going to be something that impacted me directly. It was something out there, it was not something that I even knew was part of what was happening in my family. Neil Sattin: And that moment was the beginning of a struggle that lasted years, with my mother getting all kinds of treatments. And at the time that was the primary vehicle for treating people was, “We’re going to find the right drug.” And when the antidepressant drugs that they tried weren’t working, they decided, “Well we have these other drugs that are for your heart,” or for I can’t even remember, “but they’re for other things, but a side effect has been elevated mood. We’re going to try those drugs on you.” I don’t know the exact number of drugs that they tried with my mother, none of which really had any appreciable effect. Neil Sattin: And I had an argument even with her psychiatrist at the time about it and wrote a letter, and really tried to advocate for something more than just, “We’re going to find the right drug.” Ultimately, my mother who is thankfully still alive, though there was a time when we really didn’t think that would be the case, now it’s 30 years later from that moment when I got that phone call. And she’s doing pretty well. And what ultimately helped her, was being in a program that helped her learn skills for relating and coping with emotion and all the things that I think we’re going to be talking about in today’s conversation. So reading your book for me, felt like a huge indication for one thing of what I had experienced. And also, I think it’s so important for everyone listening who might be feeling hopeless if a drug isn’t curing the situation, that there really is more to it than just finding the right pill. And in fact, in my own experience that wasn’t remotely what helped my mom survive. Michael Yapko: Yeah. Well, that is an amazing story, and I’m sorry you’ve had to endure it, all these years. And I’m especially sorry for your mom, but I’m really glad to hear that she’s doing a lot better now. Michael Yapko: Well the fact that she was run through the mill of trying all of these different drugs and even something as extreme as electroconvulsive therapy or shock therapy, this has been the model unfortunately for many years, when people went in for treatment, they were exposed to that kind of biological one-dimensional treatment. And again, it’s not that the antidepressants are bad or should never be considered, it’s approaching them realistically. It’s understanding that the best that they can do is help with managing some of the vegetative symptoms. They can help with sleep, they can help with agitation, they can help with anxiety when they work for people. And so when you find a drug that works, and there are people that have told me many times over the years that, “This drug saved my life,” and I believe them, but to point out as well that there’s an upper limit as to what these medications can actually do and how important it is for people to grasp the notion, that even if they choose to go the route of taking an antidepressant medication that it shouldn’t be considered enough by itself. Michael Yapko: The importance of getting psychotherapy with somebody who really understands depression well, who can help you identify your particular vulnerabilities, your particular risk factors, because the things that affect you don’t affect other people, things that bother you that don’t buy their other people, things that bother other people that don’t bother you. And that’s the point is, as you learn yourself, as you really discover who you are and co-create who you are, to have that deeper insight working for you of, “Here’s the kind of person I am.” It means that I can take this kind of job, and thrive, but I can’t take that kind of job because I’ll wither. I can be around these kinds of people and thrive, but I can’t be around those kinds of people because all wither. And it’s really up to you as an individual to learn your risk factors and learn how to manage yourself. And I think that’s one of the other misconceptions that I would want to speak to, the notion of curing depression. I don’t really know of any depression expert who would talk about curing it. You learn to manage it, in the same way, that you learn to manage other parts of your life. You don’t discipline your child once and now you’re done doing the parenting thing. Michael Yapko: You don’t make a bank deposit once and now you’re done with banking, you don’t exercise once and now you’re done with the exercise thing. These are things that you have to manage on an ongoing basis and mood falls in that same category of having to manage it constantly and being aware of what your vulnerabilities are and which situations to avoid or to minimize contact with. And which kinds of things to seek out that provide you with the kind of balance and the kind of good experiences that lift your mood and make you feel better about yourself. Neil Sattin: Yeah, one thing that I loved about your book, Depression Is Contagious, is the way that it laid out specific skills that you can develop. And even, I’m not someone… I don’t feel like I struggle with depression but as I was reading through, I was like, “Oh yeah, that would be a great skill [chuckle] to actually work on in my life.” And what I like is that by doing something that’s as practical as developing a new habit or learning how to be discerning in terms of the type of people that you let into your life or how you set boundaries with people, and we’re going to get more into this, that these are things that you practice that become part of the fabric of how you act, and because you’re doing that, you’re weaving your own web of support that helps you manage anything that could lead you down the road of being depressed. Michael Yapko: I think that’s true, and I think the starting place is if you understand, truly understand that your views, your perspectives, your way of looking at life is arbitrary. Other people look at it differently. And that really for me was the starting point when I first started researching and studying depression decades ago. Yeah, I started with an interest in the people who faced traumas, the people who faced adversities, the people who probably should have been depressed, but they weren’t and I wanted to know why not. What were the skill sets, what were the mindsets that people had who managed adversities and traumas well, without sinking into despair, without sinking into depression? And then it became the challenge, of, can I identify what those skills are, and then can I make them learnable for other people? So it’s really not a surprise if you knew my history, of studying depression and my orientation towards it, why I would write books that emphasize the skills and help people identify these are valuable skills to have. And if you don’t have these skills, you’re much more vulnerable to the kinds of situations that arise where the absence of that skill puts you at greater risk. Michael Yapko: So just as a simple example, you brought up the question of how you decide who to let into your life. That is a very complicated skill set, and it speaks to the question of how do you assess people. How do you determine someone’s nature? How do you determine someone’s value system? How do you know whether it’s going to be a good fit? And for many people, they’re so insecure about themselves and they’re wondering, “Am I okay? Am I okay? Am I okay?” it never occurs to them to ask the question, “Is this other person okay?” And they end up getting into relationships that are hurtful and damaging and even outright destructive and abusive at the extreme. And when I ask people like that who are in those kinds of relationships, how do you decide who you’re going to bring into your life? They look at me quizzically and ask, “Decide?” as if they’re not an active agent in the process. Michael Yapko: And that passivity shows up, that I referred to earlier, that passivity shows up in so many different ways. And this is one of the primary ways in the relationship domain, that a person doesn’t realize that you have to shape relationships actively, that even the dating process if, if you asked me, “What is the purpose of dating?” I can say it with just a mild degree of being facetious. I think the purpose of dating is to find out, is this person trainable? And can you provide limits to this person and have somebody who actually respects those limits? That’s what I mean, and vice versa. But the reality is that by the time somebody starts dating which these days is around age four, by the time people… That’s kind of a joke. Michael Yapko: I’m joking, but people start dating at a much younger age, but by the time you start dating you already have an idea about relationships, you already have an idea about love, you already have an idea about sexuality, you already have an idea about these things and if your ideas are naive or misinformed you bring that mindset to relationships and there’s a very good chance then that you’re going to build relationships that aren’t particularly healthy and productive and you’ll pay the price in terms of how it feels to be in that relationship and how it makes you feel about yourself. So that’s one of the primary pathways into depression when relationships go bad and when relationships start off badly. Michael Yapko: And for a lot of people, they meet somebody and they fall in lust, and everything is really great for about three weeks, and then they start to discover who this person is or they start to discover things in themselves relative to this person, and then the things start going downhill pretty quickly, and then the whole thing is over in a matter of a couple of months. And when you have people who go through that same cycle repetitively, eventually a lot of people just give up. They think that love’s not for them or their relationships just aren’t in the cards for them, and without ever realizing that’s an incorrect conclusion. But you might want to take a look at the strategy that you have for how you decide who to date, how you decide what to reveal about yourself, how you deal with the inevitable differences between you, how you evaluate this person’s way of relating to you. So there are a lot of things that go into it. Neil Sattin: Yeah, the skills that you talk about in Depression Is Contagious, as I was reading through them, I was like, well each of these skills, it should surprise no one. Not only are they good for building how you relate in the world, in general, but they’re all really important powerful skills for being in a committed long-term relationship. And I like your emphasis on trainable when I heard that. I appreciate your drawing the distinction of how does someone respond to limits that you set and how do they set limits for you? And I think those are really important distinctions to make. I was also thinking about it just in terms of how we are imperfect beings who enter into relationship and wondering like, “How well do I, as a partner and does my beloved, how well do we respond to the training that’s required to actually get better at this?” Because so few people enter it being any good at it. Michael Yapko: Sure, the basic social psychology is that we get attracted to people who are like us, people that we view as having similar beliefs, similar values, and that’s great, but what keeps people together is how they deal with the inevitable differences, and that’s where the training part comes in. What happens when I want to spend money on things that you don’t value? What happens when I want to have friendships with people that you don’t particularly like? What happens when I want to spend time on things that you consider trivial or frivolous? And it’s in those moments that you’re going to discover whether this person can be accepting of the inevitable differences, tolerant of the differences, respectful of the differences or whether they’re going to use it as the basis for a constant barrage of criticism that makes you feel less than, make you feel bad about yourself. And therein lies, if you don’t have an acceptance of yourself, if you don’t believe for yourself that this for you is a reasonable use of your time and your money, and your energy and all those kinds of things, then you can easily feel belittled and victimized. And if we talk about the single greatest risk factor for depression, it’s victimization. Victimization of any kind. Michael Yapko: And it’s why when you were telling the story about your mother when she was exposed to trauma early in her life, that kind of history of victimization is a huge risk factor. And some people learn earlier than others how to get past that sense of being a victim of life or a victim of other people, and get back on track, and other people end up defining themselves as a victim forevermore. And the reality is that nobody, but nobody overcomes depression by declaring themselves a victim. Now that’s not to minimize how traumatic a life experience can be, but it isn’t until people come to terms with it and say some variation of, “I’m not going to let that trauma define me. I’m not going to let my history define me.” And it’s one of the most important messages that I’m giving people all the time. The message is in plain language, “You are more than your history,” and to discover what more you become the challenge. But when somebody adopts the perspective, “I am my history,” and this is one of the things that I actually chide therapists about, because of how readily some therapists will unintentionally contribute to that by saying to the person, “You are a trauma survivor, you’re a survivor,” and while on one level that sounds very empowering, on another level, it says that you can define yourself by your history. Neil Sattin: So let’s cover maybe some of the top risk factors, just so people can have more of a sense of what they are. And also a question about victimization, because I think so many people might have trouble figuring out or reluctance to identify whether they are being victimized or seeing themselves as a victim. I’m thinking of someone I worked with in particular who is like, “I don’t think I’m a victim, I just think other people are to blame for everything that’s wrong with me.” So I’m wondering if there’s a way that we can help someone just get that sense of whether they are adopting more of like a victim mindset in ways that aren’t about the word “victim”, but are about ways that they might be interacting with the world that would suggest, that sort of thing. Michael Yapko: Okay, well, I talk about victimization, and what most people do, unfortunately, is they instantly assume that what I’m talking about victimization I’m talking about the things that other people do to you, and that’s only part of the story. There is no doubt that there are bad people out there, people who are willing to hurt you to get what they want, people who are willing to abuse you, to get what they want, people who really don’t care how you feel; they just want what they want. There are people like that out there. And there are also people out there who are absolutely wonderful and that becomes your job to determine who’s who. But the other part of the victimization story is how people victimize themselves, and in fact, that’s more the common victimization. People are victims of their own beliefs, people are victims of their own attitudes, that when somebody, for example, defines themselves as a perfectionist they’re instantly setting themselves up to be a victim of their own inevitable imperfections since nobody’s perfect. Michael Yapko: And when you’re a perfectionist, while you can justify it to yourself by saying, “Well, I just have very high standards,” that’s nice; the problem is that what victimization’s evolved from perfectionism it means you’re creating a toxic internal environment where no matter what you do, it’s not good enough, so you’re always criticizing yourself, you’re always feeling less than, that even when people compliment you, and praise you-you dismiss it as they really don’t know what they’re talking about, or, “Gee, I guess I fooled them,” and that kind of victimization. So to me, one of the most important skills somebody can develop is the ability to step outside your own thinking long enough to evaluate whether what you’re thinking or the way that you’re looking at things, is reasonable, whether it’s accurate. The simplest way I can say it is a lot of what depression is about is that people think things and then they make the mistake of actually believing themselves, and it’s why it’s so important that people learn how to be critical thinkers, they learn how to gather information and use information. Michael Yapko: But when you say, “Everybody else is to blame. I’m not the victim,” you’re missing the fact that you are a participant in these interactions. If you’re interacting with another human being, then by definition, you are 50% of that interaction, and to act as if you have no contribution to it, then to blame the other person for whatever happens is if you play no role in what happens, is misguided, to say the least. It is leading yourself astray, in terms of the quality of your own thinking. And so the last thing that we want to do is think that “All of these things just happen to me.” It’s a really difficult thing to be able to discern what are you responsible for and what are you not responsible for, to discern what you are in fact helpless to change and what you’re simply assuming you’re helpless to change. Michael Yapko: There are times when somebody is genuinely helpless. There’s nothing that you can do, there’s nothing I can do about the government shutdown that’s currently going on as we record this right now. There’s nothing I can say that’s going to make a difference. I am in fact helpless to change the shutdown. How I view it, what I tell myself about it, how I gauge its significance in my life, all of those things are negotiable, all of those things are malleable. I’m not helpless in that regard. And so the importance of people recognizing that they have decisions that they can make, and this is one of the most telling models of depression, depression like any human problem can be viewed in many, many different ways. Michael Yapko: We can look at it through the lens of biology, we can look at it through the lens of psychology, we can look at it through the lens of sociology, but the important thing about viewing depression as something that is malleable, not fixed, and I think this is the difficulty in dealing with people we love who are depressed, who have given up, who believe that it can’t change. And that’s really the first challenge is if you really grasp the notion that your ideas can’t be trusted, and it’s not that you’re wrong, you might be in the way that you view things, you might be misinformed, you might believe something that really isn’t true and the evidence is contrary, and that’s really the challenge then of, I could say for myself, having been in this field now for so many years, how many times as a “depression expert” have I had to redefine my ideas about depression over the years, how many times if I had to change my ideas based on new evidence and new research. Michael Yapko: There’s a lot of times when I’m having people go out as a homework assignment in my therapies, to go out into the world and conduct surveys. Here’s what you think. Let’s find out if that’s really how other people see it. Here’s what you think you’re hopeless or helpless to change. Let’s see whether other people see it the same way and start to loosen up those ideas that keep you imprisoned, that lead you to be a victim of your own thinking or your own reactions to things. So there’s a lot there, but the other risk factors, is there was the question we started with, what are some of the primary risk factors? Michael Yapko: One primary risk factor is family history. The child of a depressed parent is anywhere from three to six times more likely to become depressed than the child of a non-depressed parent. Just having a depressed parent represents a significant risk factor. And to be more specific about it. What represents the risk is what’s called the explanatory style. Every time a two-year-old asks you, “Why, Daddy? Why, Mommy?” and two-year-olds do that roughly 1000 times per day, every answer you give models what’s called explanatory style, a style that you have that’s quite unconscious for how you explain why things are the way they are, or how you explain how things work. And it’s through that explanation and through modeling that children learn the same qualities of explanations, or what is more clinically called attributions, as their parents. Michael Yapko: So, it’s really no surprise how when you hit your teenage rebellion years when you’re 15 years old and you’re saying, “I don’t want to be like my mom, I don’t want to be like my dad, I don’t want to be like my mom, I don’t want to be like my dad.” And then you hit 38 and you go, “Damn, just like my mom and dad.” And the reality is, how could it be any other way? They’re the people who shaped your way of looking at things to a significant degree. And so that quality of parenting and modeling and the role of explanatory style is huge, and it’s also through them that you learn coping skills for how to deal with stressors, that if every time your mom was depressed, she’d take drugs or every time your dad was depressed or stressed, he’d get drunk, you’re not going to learn really good coping skills or good problem-solving skills. Michael Yapko: And then, another factor, and then I’ll stop lecturing away here. But another huge factor is the quality of expectation. What do you expect to happen, how do you view the future? The future hasn’t happened yet. So it has been said that there are two kinds of mystics in the world: The optimistics and the pessimistics, and they represent two very different viewpoints about the open-ended future. And we have lots of evidence at this point, that it’s not just six of one or half a dozen of the other. There are measurable benefits to optimism. Optimists suffer fewer mood problems, optimists suffer fewer health problems, optimists live longer, optimists recover faster from surgeries with fewer post-surgical infections. Optimism has all kinds of benefits. Michael Yapko: And to me, it’s such an important point to make that since the future is wide open, I can’t do anything to change the past, but the future hasn’t happened yet. And there is a quote attributed to Abraham Lincoln that I absolutely love. And the quote is, “The best way to predict the future is to create it.” And I spend a great deal of therapy time helping depressed people create better futures. Neil Sattin: Wow. Okay, so many things occurring to me, and directions I’d like to go and I’m aware of our time, so I want to make sure, that we stay reasonably focused here. Alright, I’m curious about… Here are a couple of thoughts that are weaving in. One is if part of the problem of being depressed, is this feeling that “Well, this is just the way I am,” and I’m willing to go out and I love this idea of actually taking surveys of people, and I could see that as a way to engage random people, right? It’s just like, “What do you think about… Do you think, blah, blah?” and test out your ideas about what’s true with other random people. But what is the process of change like for changing your beliefs from, “Well, that’s just who I am,” to actually being able to experience your own malleability, your own flexibility, and to get to a place where suddenly you realize, “Well, that isn’t just who I am. I’m not just a victim of the fact that my mother was depressed,” let’s say, or whatever it is? That that, in fact, even though I have this risk factor or anything that might be a risk factor, that I’m free to change, I’m free to actually learn how to experience seeing the world and experiencing the world in a totally different way. What does that arc look like for people to feel like they can own it versus just, “I’ll try that on, but that still doesn’t feel like me”? Michael Yapko: Well, of course, we’re speaking in very general terms now. And for people that are depressed, that’s actually dangerous. Here’s another risk factor, it’s what’s called the global cognitive style. In plain language, it’s moreover, general thinking. So for example, someone’s boyfriend or girlfriend breaks up with them and then they say, “I’ll never date again, or I’ll never let myself be vulnerable again, that’s a manifestation of global thinking. And so really the first step is when you say something like, “Well, that’s just the way I am,” the starting point is, let’s get much more specific. It’s not a total overhaul. There are a lot of things about you, no matter who you are, that are good things, things that don’t need to change. Michael Yapko: The question is what happens when you brush up against a belief system that limits you? What happens when you brush up against a viewpoint that victimizes you or holds you in place? That becomes the moment where the question arises. Is this fixed or is it malleable? How can I find out? It may feel fixed, it may feel unchangeable but is it really true? And by first asking that question, is there some way to examine whether this is really as fixed as I believe it is, that’s what then opens up. Michael Yapko: There’s the initial first step of being curious. Socrates said, “Curiosity is the beginning of wisdom,” and that is so true that unless you’re willing to examine, unless you’re willing to question yourself instead of just passively giving up and saying, “Well that’s the way that I am.” And then to be able to look at other people, you don’t have to love everybody, or find something wonderful and everybody and be really Pollyannaish about it, but clearly even the people that you don’t particularly care for the people you don’t particularly necessarily respect are still good at doing something. What are they good at doing that, what can you learn from them? I’ve spent 48 years studying people who are good at things to learn how they do what they do. I’m the person who just somebody in the grocery store who’s pushing their kid around in a cart and their kid throws a tantrum because he wants cookies, and this parent handles that kid really well. I feel compelled to go up to that person and say, “Wow I really love the way you just handled your kid’s tantrum and can I ask you a few questions. Michael Yapko: And learn something from what are they thinking, what are they focusing on? How do they endure the tantrum in order to teach this kid a lesson that you can’t just demand cookies and expect to get them every time we go shopping? And really learning from the people around and viewing other people as potential mentors. The value of self-help materials, the value of going into therapy. When you hit the wall, metaphorically speaking, when you reach a point where you just don’t know what to do, that doesn’t mean there’s nothing to be done, it means you don’t know what to do. Go talk to somebody who does. That’s what the value is of another perspective, and that’s where you have the chance to explore other ideas and other possibilities to start to redefine yourself. Michael Yapko: Literally, everybody who has ever recovered from depression, their initial belief was, “I’m going to be stuck feeling this way for the rest of my life.” And then they did things, they went to therapy, they experimented with new behaviors, they learned about depression, to discover that it wasn’t what they thought it was. They learned to recognize the signs and symptoms, they learned how to experiment with new ideas and possibilities and perceptions, and they invested themselves in redefining themselves so that they would no longer say, “Well, that’s just the way I am.” So that’s really what the art looks like, is starting with curiosity and not necessarily believing things are going to change but being curious that if they were going to change, how would that happen? That if my life was going to move in a different direction if I was going to reach this goal, how would I define it? But here’s where the thinking processes get in the way when I talk about global thinking. So often the great, great majority of the time, people come into therapy and they know what they want, they just don’t know how to get there. Michael Yapko: And I view the therapist as a bridge builder. Here’s what I can do to help build a bridge that helps you get from where you are to where you want to go. But when I ask people, “Okay, if this is your goal, what are the steps to get to it?” They have no idea. And that’s really an important thing to appreciate, it’s not that they can’t reach the goal, it’s that they don’t know what the steps are, it’s too global, for them. It’s too poorly defined. Honestly, I wish I had a dollar for every time a client said to me, “Well, all I want is to be happy. Is that too much to ask?” Well, can you get any more global than that? Michael Yapko: And then when I ask somebody, “Okay, so what do you think it takes to be happy?” They look at me like, “What’s wrong with you, you don’t know what happy is?” Well, of course, I know what happy is, for me, but I don’t know what it is for you. And then when I ask the person to identify what are the steps to accomplish this, that’s when they discover they have no idea. Michael Yapko: And so it’s not that they’re pathological, it’s not that they’re neurochemically defective, it’s not that they’re a genetic mutant, it’s that they don’t know. And that’s my point when you don’t know when you know what you want, but you have no idea how to get there, talk to somebody who does, that’s what the value is of somebody who really understands what it takes to get from here to there. Neil Sattin: Okay, great, so this might be a great time to mention, because it’s clear that you’re super skilled with working with people who are depressed, and I know that you do a lot to bring that skill set to other therapists. So maybe you could just talk for a moment about the kinds of trainings that you do. I know you do occasionally some things for just the regular general public, but the bulk of your work is actually helping therapists learn how to deal with these problems more effectively. Michael Yapko: Yes. I’ve authored 15 books, and most of those are books for the profession, the other mental health professionals. And much of my professional life is devoted to training other professionals around the world. For the last 30 odd years I’ve averaged being home, only 100 days a year because I’m doing clinical trainings everywhere else. I’m on a plane every week. And so, the trainings that I do are primarily for mental health professionals. They can easily go to my website, yapko.com and check out my teaching schedule to see when I’m in an area that’s close to where they are, and what people can expect to learn are very practical strategies for helping people move through their problems and get to the other side where they feel like they’re not just feeling better, but doing better. Michael Yapko: I’m making a very important distinction there. It doesn’t take much really for people to feel better, but it does take a lot for them to actually be better. And by that, I mean to come to terms with the risk factors and reduce those risk factors so that they can move through life, far less vulnerable, far more skilled and managing their own moods. Neil Sattin: And your website yapko.com has a wealth of information for everyone, so I definitely suggest that you listening, go check it out, you’ll see where Michael is teaching around the world. There are resources available on the website as well. Videos, he’s done etcetera. So definitely check out his website. Neil Sattin: Just as a quick note, when you were talking about global thinking, I was just reminded that I wanted to tell everyone that we have had David Burns on the show to talk about cognitive distortions, which is, your knowledge of that is a great way to recognize ways that your thinking may not be entirely accurate, that what you think may not be true. So, that’s episode 133, if you are interested in listening to that. Michael Yapko: David is a wonderful speaker and he’s very, very knowledgeable, and he’s somebody I’ve known for a long time. And in fact when people visit my website, one of the videos, it’s posted there, is an interview that I did with David talking about his history as a drug researcher and why he left the drug field to move into the realm of providing psychotherapy to people. So that’s a good recommendation on your part. Neil Sattin: Yeah, interesting. I had no idea about that part of his history as well. So, I’ll definitely check that out. So, let’s get back into a couple of important things. One is, I want to ensure that we give our listeners who are in a relationship with someone who’s depressed, a certain sense of what they can do. And I know you talk about how valuable going into couples therapy can be for actually helping stimulate the health and well-being of the depressed person as well as the relationship and that seems to weave in with me. All these skills are interwoven, I think, but I’m thinking in particular about the tendency to ruminate and questions about… You’ve brought up seeking help or asking other people for what they know about how to achieve certain results or dispositions. And I think that’s another thing where, if you’re depressed, you might tend to ruminate, where you’re just kind of obsessively thinking about things and at the same time not know how to reach out for help without feeling like you’re burdening other people, and thus feeding into the way that your social network reinforces your depression. And then of course, if you’re in a relationship, there’s your loved one and there’s that dynamic. Michael Yapko: Well, you are perceptive in your statement about all of these things being interwoven because they are as well as many other variables as well. And you mentioned rumination. Rumination is a coping style, where the person does spin it around and spin it around and spin it around over and over and over again. And the interesting thing about rumination is if you ask people who are prone to rumination, do they think they’re doing something, they would answer, yes, they think the rumination is in fact problem-solving. They don’t realize that it’s just pointless obsessing. Michael Yapko: And if there is any cure for rumination, it’s action. Why I keep emphasizing taking positive action over and over and over again, “I got another facet to, of how it corrects for ruminative thinking and when somebody is in that position to stop the rumination and ask themselves, “Okay, I’m doing this analyzing, what does it mean I should actually do?” If I’m ruminating about, “Did I offend that person? Did I offend that person? I wonder if I offended that person, maybe I offended that person, God, I hope I didn’t offend that person.” How about if instead of spinning all that around you go ask, “Did I offend you? And if so, I’m sorry,” and find out. And that’s what I mean by taking action. But the other thing that you’re raising is about boundaries in the relationship. How do I keep my depression as best I can from infecting the relationship? Michael Yapko: Well, therein lies the problem. Just because you’re feeling it doesn’t mean you have to say it. Just because you’re feeling it doesn’t mean you have to act on it. Just because you’re feeling it doesn’t mean it becomes the basis for what you decide to do. And this is one of the models of depression that I find the most instructive. It’s called The Stress Generation Model, and this is a model that talks about how depressed people make bad decisions that exacerbate their depression, and this is certainly one of the things that happens in relationships. So part of what I speak to when I’m working with couples where depression’s a factor or when I’m working with families, where depression’s a factor, is helping them build the boundary. It’s not dishonest, it’s not withholding, it’s just setting limits on how far you’re willing to go to introduce toxicity into the relationship and how to protect the people you love from that. Your moods are going to change, the nasty things that you say aren’t. And so that is a really critical force. But there’s another, as long as we’re talking about interwoven factors there’s a… So, another factor to bring into it, it’s what’s called the internal orientation, the internal orientation is how depressed people tend to use their feelings as the indicator of what to do. Michael Yapko: So that is one of the patterns that play out in relationships that again, I’m helping people put a boundary on it, that that feeling of insecurity is not something you have to lay on the other person necessarily to ask it again and again and again. Michael Yapko: There’s another interpersonal pattern called conflict avoidance, that’s also very typical in depressed relationships. The person isn’t happy with something and they can’t bring themselves to say something about it, so the other person does something and instead of saying, “Hey, that wasn’t okay with me,” or “Please if you would not do that anymore,” or “Please stop that,” wouldn’t occur to them to say it because they’re afraid that the other person’s going to leave them, they’re afraid the other person’s going to get angry, they’re afraid the other person’s going to throw a tantrum, so they don’t say anything. And by not bringing a correction into the interaction, the other person keeps doing what they’re doing while they do a slow burn and eventually just can’t stand the relationship anymore, and they missed all these opportunities to help shape it, help grow it, help make it better until eventually they just walk away from it, and that’s an unfortunate consequence of that kind of conflict avoidance. Neil Sattin: Yeah, so quick question, especially when you were talking about affective neuroscience and how depression might affect one’s ability to make good decisions, how do you balance that out with the cure to depression or I guess, maybe I shouldn’t be using that word, but an effective way to manage your depression is to take action. So how do you take action, if on the one hand, you’re afraid? Well, I’m depressed, so my decisions are going to be bad ones, so the actions I take are going to be bad ones. Michael Yapko: Here’s where the ability that I mentioned earlier to step outside your thinking becomes critically important. Let me give you an example. Michael Yapko: A woman comes to me and she says to me, “I am so depressed. Have been for a long time.” I ask. “Okay, so tell me about it. What can you tell me about it?” She says, “I’m just so lonely. I live alone in an apartment and I sit in my apartment and nobody calls me, and nobody comes to visit me. I go to work and I work in a little cubicle and nobody there talks to each other, they instant message, they text message, but I go to lunch and I sit by myself and nobody talks and nobody… And I’m just so lonely, I’m so lonely, I just sit in my apartment night after night, and I don’t do anything and nobody calls me.” So then I say to her, “Well, you stand a much better chance of meeting interesting people and developing friendships if every once in a while, you leave your apartment.” [chuckle] She says, “I know, but I don’t feel like it.” Now, that’s what I mean by an internal orientation. She is using her depressed feelings to keep herself alone and lonely. Michael Yapko: I need to give her another frame of reference, “Whether you feel like it or not, if the result you want is to have people in your life, guess what, you’re not likely to meet interesting people in your bathroom. If you’re going to want to meet interesting people, you’re going to have to go where people are.” Now let’s talk about the skills that make people less intimidating. Let’s talk about how you start a conversation, let’s talk about how you keep a conversation going, let’s talk about how you end a conversation, let’s talk about how you know what to self-disclose and what not to self-disclose. Let’s talk about how you ask people questions and express interest in them. Let’s talk about all of these things that are the skills that go into how to relate to members of your own species. Because if I can get you to respond and behave, according to what the goal is, instead of responding to what your feelings are, that’s how you’re going to make better decisions. Neil Sattin: Perfect, and then, that experience of not feeling it, but doing it and following through on the skills that you’re learning, that becomes a positive spiral. Michael Yapko: But I have to make sure I’m not setting you up for failure. I can’t send you into a social situation until you have at least the most basic skills. Otherwise, you go into a social situation with none of the skills, then you self-disclose things that are sensitive or inappropriate, and you get negative feedback from people, and then it becomes a failing experience. And then you come back and tell me, “I’m never going to do that again. You lousy therapist.” I have to make sure that before I send them into those situations that they’re ready. Neil Sattin: Yeah, makes total sense. Well, this has been such a deep and far-ranging conversation, and most of what we’ve talked about, I think has been really for, to help understand depression more, for sure, and for people who, if you are experiencing some depression hopefully this conversation has given you some light and some sense of the pathway through and it really is on the person who’s feeling depressed to find that pathway out with help of course, we can’t stress that enough. That being said, what can we offer the partner? If I’m partnered with someone who I think is suffering from depression or I know they are because they’ve been diagnosed of depression, what are the best things that I can do to show up and to give us the best chance of succeeding in a relationship together? Michael Yapko: It’s hard to find the boundary between supporting someone, and enabling someone. 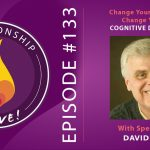 So you as a partner, you certainly don’t want to criticize the person, you don’t want to belittle them, you don’t want to minimize it, you don’t want to get angry and frustrated with them that, “You must like your depression, otherwise you’d be going to get help.” Bear in mind what I said earlier in this conversation. That depression’s built on a foundation of passivity, and it’s built on the hopelessness that this person doesn’t seek help because they don’t really believe it’s going to make a difference. And that’s why you as a guide of being willing to go in with them and be supportive, help them find somebody, help them get there, show up, even go into the session with them, if need be. But hopefully, the depression doesn’t get so severe that somebody is that passive. How much suffering does somebody have to endure before they’re willing to do something about it? Michael Yapko: And this is different from person to person, but for as long as you’re supportive, as long as you’re encouraging them to look beyond themselves, as long as you’re playing a role and helping them understand that just because they think it doesn’t mean it’s so, just because they feel it doesn’t make it true, inviting them to look outside themselves about how other people cope with these things, showing positive examples of people who have overcome difficulties that they can learn the same skills even if they don’t have them right now, they can learn from those experiences that can be inspiring, they can interview therapists and find somebody to work with that they feel good about, they’re going to have to do some therapist shopping anyway. Michael Yapko: It’s not an instant fit necessarily. It’s great when you connect with the first person you talk to, but sometimes it might take a therapist or two before you find somebody you really feel confident working with. Michael Yapko: You’re looking for goodness of fit. And then the importance of not giving up on this person, but also taking care of yourself. One of the first relationship casualties is fun. Depressed people aren’t known for being fun. So the partner says, “Come on, let’s go take a walk.” And the depressed person says, “No, I don’t feel like it.” Well, go take a walk anyway, with or without the person. That’s what I mean by not enabling them. You can do it nicely. “Well, I’m sorry that you want to stay home, but I really want to get outside, because it’s a beautiful day and I’ll be back in an hour.” There’s a very good chance that this depressed person will begrudgingly say, “Okay I’ll go.” And then they have a nice experience and they enjoyed the walk, they saw something pleasurable, they enjoyed watching this dog running down the street or whatever they enjoyed. Michael Yapko: And so take care of yourself too. That’s an important thing, that you don’t build your life around depression. That’s kind of the problem is when somebody says, “No, I don’t feel like it,” “Well, let’s go to a movie, let’s go see a comedy,” “No, I don’t feel like it,” “Come on. Let’s go hiking in the park,” “No, I don’t feel like it.” And then, little by little this person starts building their life around the depression until the depression is so top-heavy that they collapse under the weight of it. And what a partner can do is help diversify this person’s life, take them places, do things with them, and if they don’t want to go, okay, you don’t need to get into a fight about it again, but live your own life too and make sure that you still go places and do things that allow you to take care of yourself so that your life isn’t about adjusting to depression. Michael Yapko: I hope so, and I think there’s one other book I’d really like to in particular, I’d like to mention it’s called Keys to Unlocking Depression. And I wrote that book for the general public, and particularly, for the depressed people who don’t want to read. It’s a really simple book of major ideas. There’s a major idea of something you really need to know about depression. And then just two or three paragraphs of explanation before I go on to the next one. It’s a little book, you could read the whole thing in a couple of hours, but there are a lot of really good pieces of advice in there, and again, it’s aimed at the person who doesn’t want to read. It’s really quick, really simple. So there’s another alternative for people who are listening. Neil Sattin: Yeah, I’m so glad you brought that up. I did read it, but maybe because I’m the person who wants to read, I skipped on to the media book, but yes, lots and lots of valuable wisdom in that one as well. Michael Yapko, it’s been such a treat to have you with us here today. 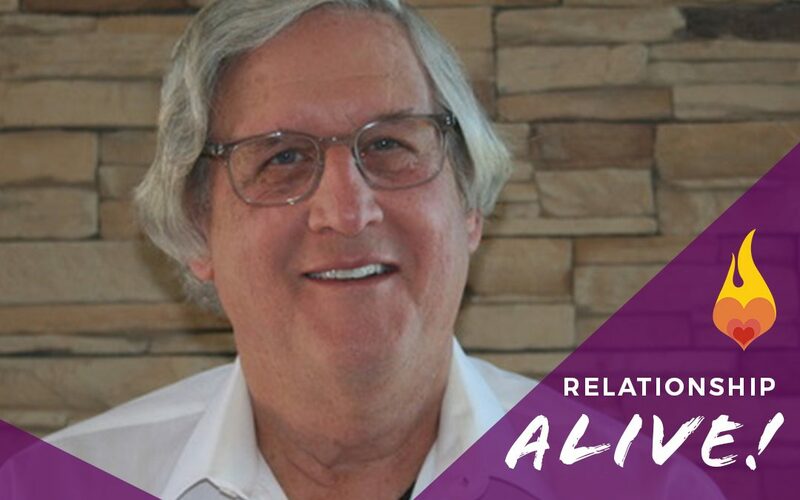 I hope we can have you back again at some point, I imagine we’ll get some questions from listeners for the next time around, and in the meantime, thank you so much for spending time with us today on Relationship Alive. Neil Sattin: And just a reminder to you listening, if you want to download a transcript, you can visit neilsattin.com/depression, you can also text the word “Passion” to the number 33444 and follow the instructions and do make sure that you visit yapko.com. Alright, well, we went a little bit over.